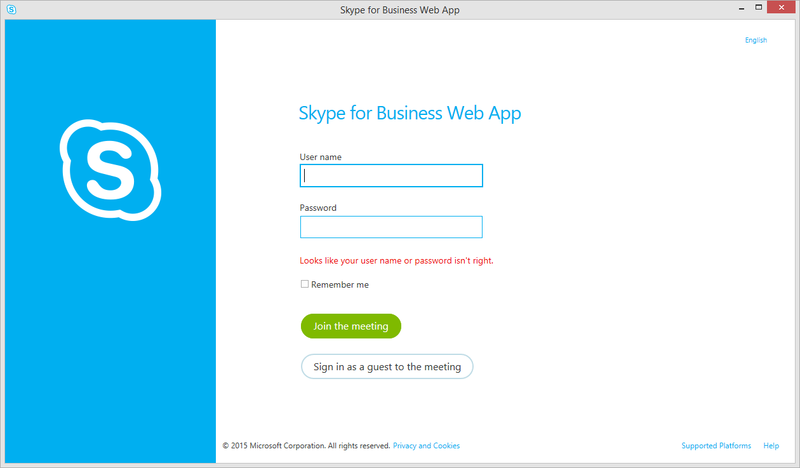 On this page, you can can learn how to join and participate in a Skype for Business meeting using the Web App. 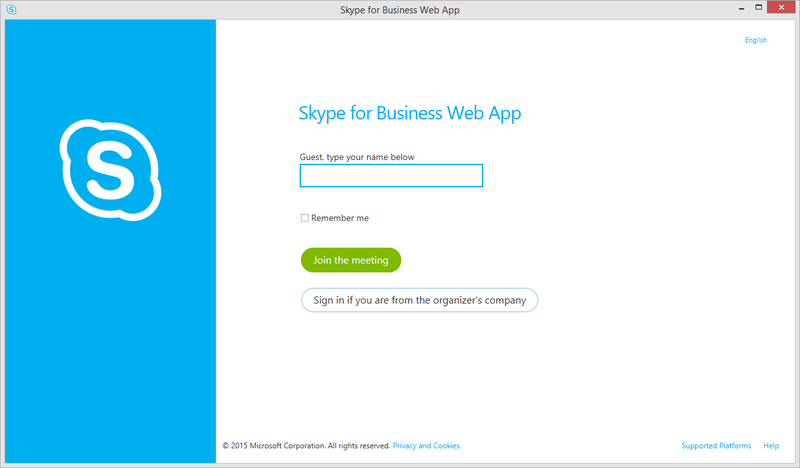 If you don’t have the desktop version of Skype for Business, or don’t have a Skype for Business account, you can use Skype for Business Web App to join a Skype Meeting from your browser. 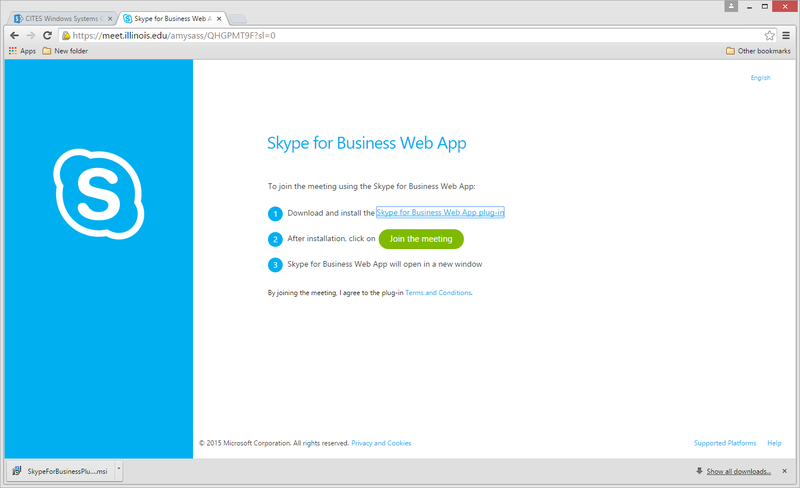 You don't need to download or install any apps to join a Skype Meeting with Skype for Business Web App, unless you are using Google Chrome. Just select the link in the meeting request email and follow the instructions in the browser window to join. 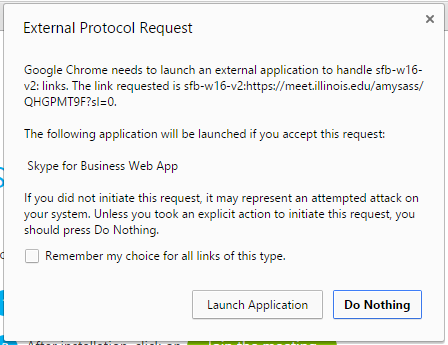 Chrome users should follow the directions below about installing and activating the necessary plug-in. As of April 2017, the Web App does not work with Firefox versions 52.x and above because plug-in support has been disabled in that browser. The solution is to use another browser such as Internet Explorer, Chrome, Edge on Windows 10; or to install the 32-bit version of the Firefox Extended Support Release (ESR). 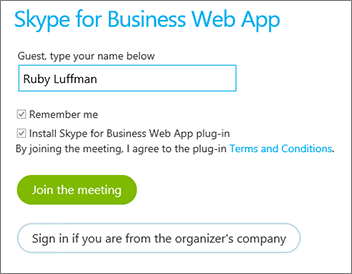 Open the meeting request in your email or calendar and select Join Skype Meeting. If prompted to install a plug-in or allow an application to run, follow the instructions below this section. 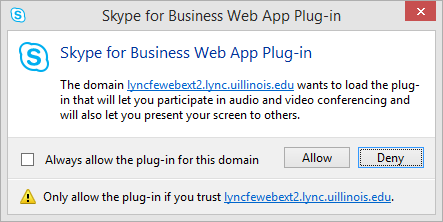 Follow your browser's instructions for installing the Skype for Business Web App Plug-in, which is required for audio, video, and screen sharing. Depending on the meeting options set by the organizer, you'll either join the meeting immediately, or be directed to the virtual lobby. You may need to close and reopen the browser afterward. Enter the URL again and click to allow or launch the application (if prompted). Enter your credentials when prompted. Guests should click Cancel at the Windows Security prompt. 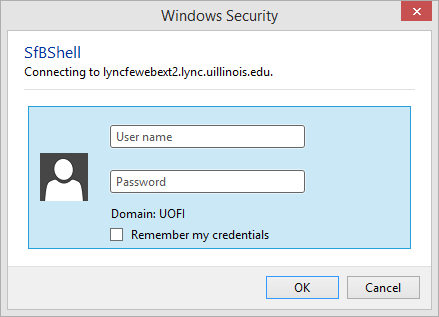 At the main Web App window, enter your credentials. Guests should click on Sign in as a guest to the meeting. If connecting as a guest, enter your name and click on Join the meeting. Click Allow to allow the plug-in to run and enter the meeting. You may also need to enter a PIN and work number or extension. See Skype for Business, PINs for more information. For more information, see Skype for Business, Joining a meeting .